On the other hand, if you don’t like SwiftKey, you’ll now have to live with it on your OnePlus One, since there probably won’t be an easy way to uninstall it. At least it won’t be selected as the default input method – those who want to try it will have to enable it from the dedicated Settings menu first. This probably means OnePlus is receiving some cash from SwiftKey. That wouldn’t be bad in itself, but one has to wonder what the future holds for the One – more preinstalled bloatware? Let’s hope not. 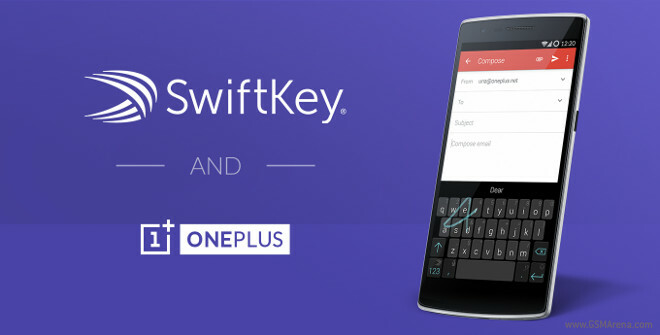 The SwiftKey integration will arrive as part of the next OTA update for CyanogenMod 11S, the OS that internationally sold OnePlus One units are running. Yes, this means Cyanogen is still supporting the One, since the much talked about fallout between it and OnePlus happened only over the Indian market. Cyanogen won’t be issuing software updates for One devices bought in India from now on, and it has never done so for those purchased from China, since they run a different ROM entirely. The new update should hit a OnePlus One near you by the end of this month, though delays have happened in the past, so don’t be surprised if one occurs here too. This update may be the last before the jump to Android 5.0 Lollipop, which is eagerly expected by One owners across the world.